Mould is a type of fungus that grow in the form of multicellular fibre-like structures, whose job it is to decompose of dead organic material. Moulds can be dangerous to human beings, animals and plants, and also to buildings. Mould growth requires moisture. The sources of moisture could be condensation, leaks from plumbing, or from the outside, because of bad insulation, or poor ventilation. Poor ventilation contributes to higher humidity levels and leads to condensation, which leads to mould growth. The spores of mould colonies are too small to see without a microscope. The musty smell is an indication of mould growth, even when there is no visible growth. In damp building materials, mould often appears like stains and may come in a variety of colours. If mould is allowed to grow in homes or offices, the indoor air quality becomes poor. Moulds release small spores into the air and they are small enough that people can actually inhale them into the lungs. There is a risk of developing respiratory problems. So, using fungicidal barriers and other mould resistant materials is beneficial for the inhabitants. The colour of mould depends on nutrient source and the age of the colony. It is hard to determine type of mould by visual inspection. Mould needs water to grow, and also needs food, oxygen and a warm indoor temperature. As mould decomposes dead organic material it can grow on wood, and also on some synthetic materials such as adhesives, pastes and paints. While mould cannot feed off inorganic materials, such as concrete, glass and metal, it can however grow on dirt, debris or hairs that are in these materials or on surfaces. Moulds prefer wet or damp materials but can get their moisture from the air in high relative humidity. So, good ventilation is a must! Reduce the ways of accumulation of water in buildings and mould wont become a problem. 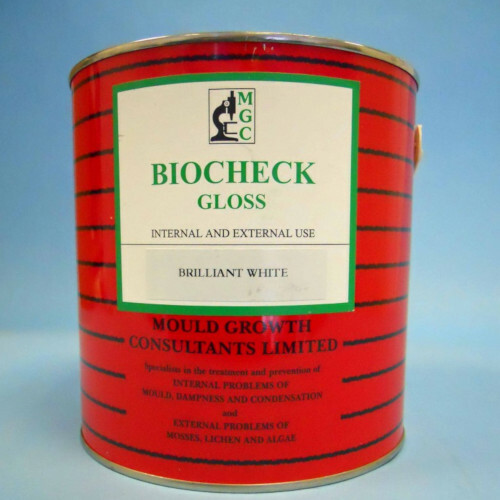 If and when it becomes a problem, you need to use correct and effective mould eradication materials. Or, you can use fungicidal barriers and paints to stop mould happening. Mould can grow by extension of their tiny root hairs or by making spores and releasing them to air or to water to find new locations to grow. When mould dries this release spores is accelerated. These spores are so tiny, air currents would move them to another moist place. If you don't dry the wet places, such as in bathrooms, kitchens, these spores would easily feed on the seen and unseen organic dirt and grow. Mycotoxins can be released by the mould spores, when the spore itself is dead. Mycotoxins are detrimental to the health. The visible mould you can spot is called mildew. Mildew begins as tiny black spots, and then grows into larger colonies. You see in the grout lines in your shower, on damp walls, and also on outdoors on the surfaces of decks siding, especially in damp and shady areas. As a mildewed surface is often difficult to distinguish from a dirty one, simply dab a few drops of household bleach on the blackened area. If it lightens, then you have mildew. If the area remains dark, it could be dirt. Mildew might not damage the building structure, but it shows that the area is moist and other types of mould can grow in the same place and the building would start to rot. If you touch the the wood with a screwdriver and it simply goes in, the fungi have taken hold and rot has begun. You can also smell the mould. If you detect the typical musty odour, check for mould on damp places in your home. Clean up these infestations immediately, before they get worse. Reduce clutter and discard unused items. Use high quality mould prevention, mould eradication and fungicidal barrier materials, if and when mould appears in your building. 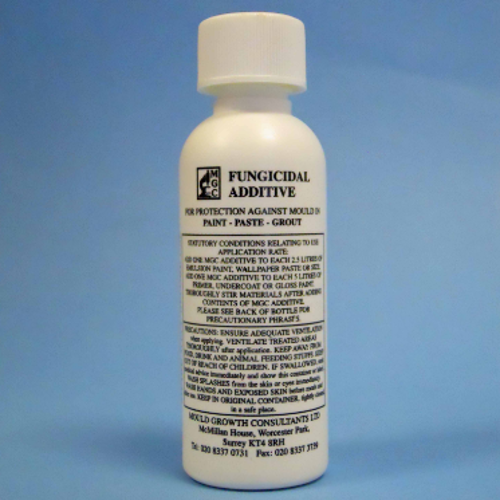 MGC Fungicidal Additive used for protecting the decoration from mould attack. It can be incorporated into emulsion paint, gloss paint, primers, undercoats, size, wallpaper paste and grout.InstructionsAdd one Fungicidal Additive to 2 litres of emulsion paint, wallpaper paste or size. 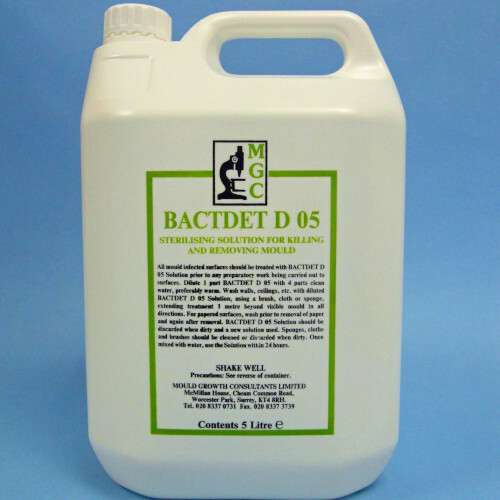 Add one Fungicid..
5 Litre Bactdet D 05 is a solution for cleaning and sterilising surface, which can be diluted 1:4 with warm water.Dilute solution 1:4 with warm water.Extend treatment one metre in all directions beyond all visible signs of infection. 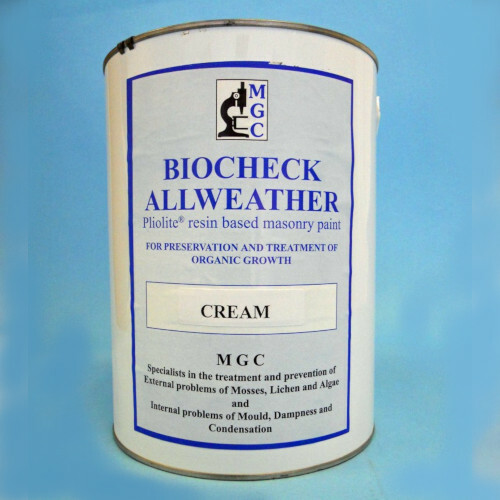 Wash down using a brush, cloth or sponge and change the ..
Biocheck Allweather Pliolite Paint is a high quality long-term performance exterior masonry paint that would resist the elements such as wind-driven rain, sun, temperature extremes and atmospheric pollution and retain its decorative appearance. Its active Biocide would resist the growth of algae. 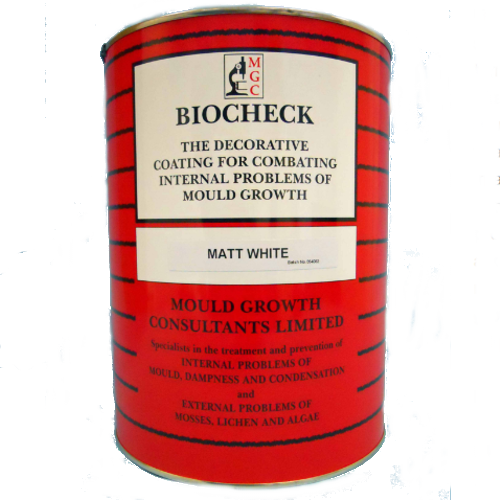 Av..
Biocheck Fungicidal Emulsion Paint - Matt would provide long term protection against mould attack in severe condensation situations. 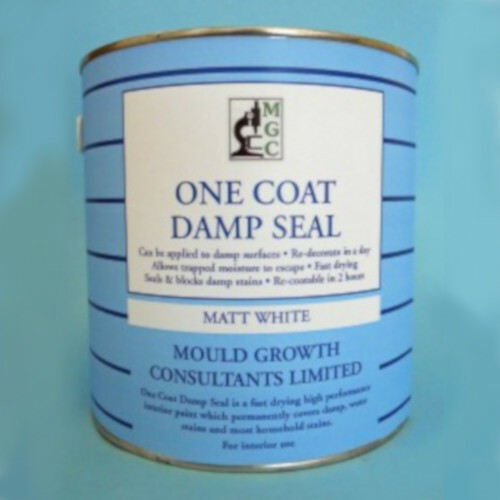 It is proven to be completely resistant to colonisation and growth of mould. Tested by the BRE. Matt finish Available in 10 pastel shades Rose Wh..
Biocheck Fungicidal Emulsion Paint - Silk would provide long term protection against mould attack in severe condensation situations. It is proven to be completely resistant to colonisation and growth of mould. Tested by the BRE. Silk finish Available in 10 pastel shades Rose Wh..
5 Litre Halophane Bonding Solution penetrates the substrate, kills the roots of the mould and forms a fungicidal barrier. Brush in the solution for maximum penetration. Maximum coverage 10m2. Ready to apply, do not dilute.Extend treatment one metre in all directions beyond all visible signs of infec..
5 Litre Haloseal ECO is a water-based masonry waterproofer, based on fluorocarbon technology, penetrates deep into the fabric and becomes an integral part of the substrate. 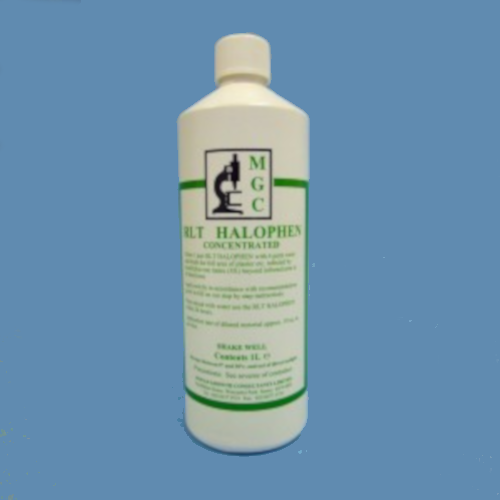 It is extremely beneficial in keeping the wall and substrate dry, which helps to reduce excessive heat loss that occu..
5 Litre Haloseal MW is a non-silicone waterproofer, based on metabolic stearates, penetrates deep into the fabric and becomes an integral part of the substrate. It is extremely beneficial in keeping the wall and substrate dry, which helps to reduce excessive heat loss that occurs through d..
Lichenite is a water based clear, colourless solution containing unique biocides for the eradication and prevention of mosses, lichens, algae growths. 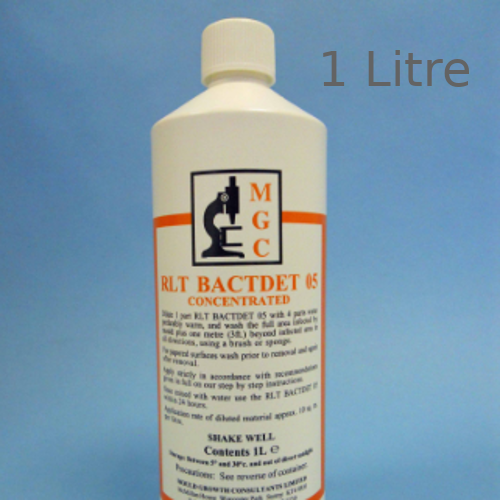 It is passed to be used as a masonry biocide. 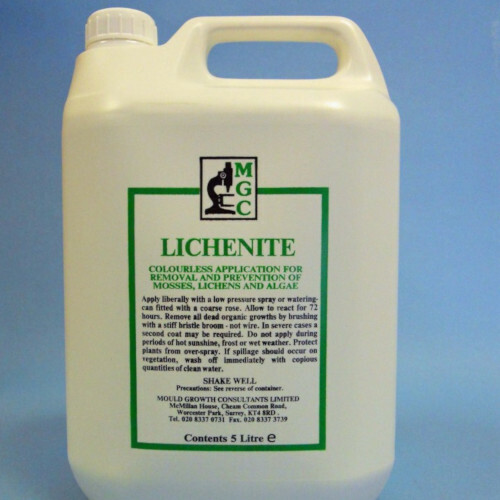 Lichenite is a non-flammable, free flowing liquid with a very faint odour. 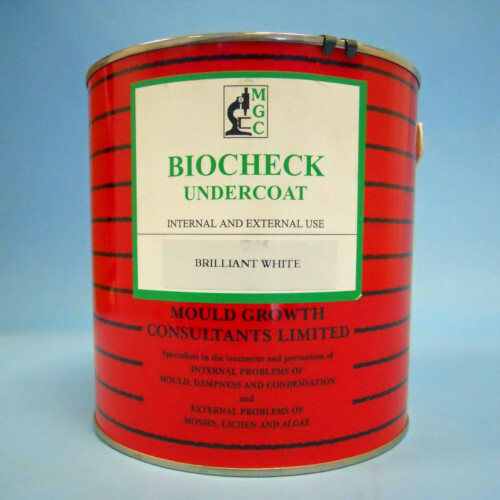 It has unlimited shelf life,..
Biocheck BB Pack - Matt is a two part mould treatment pack for mild outbreaks of mould, including black mould. Biocheck BB will remove mould and stop it returning. Highly effective in high condensation risk areas such as kitchens and bathrooms. Available in Matt, Silk, Magnolia or White. 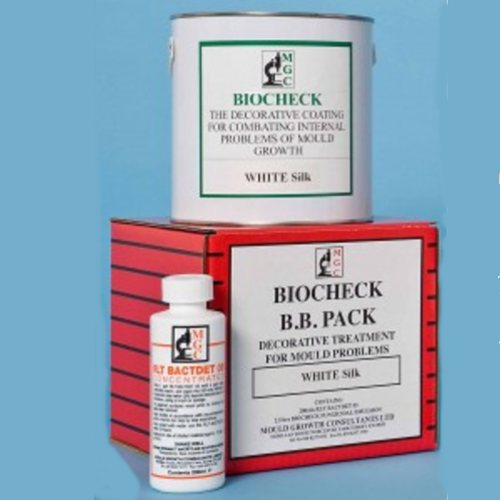 S..
Biocheck BB Pack - Silk is a two part mould treatment pack for mild outbreaks of mould, including black mould. Biocheck BB will remove mould and stop it returning. Highly effective in high condensation risk areas such as kitchens and bathrooms. Available in Matt, Silk, Magnolia or White. 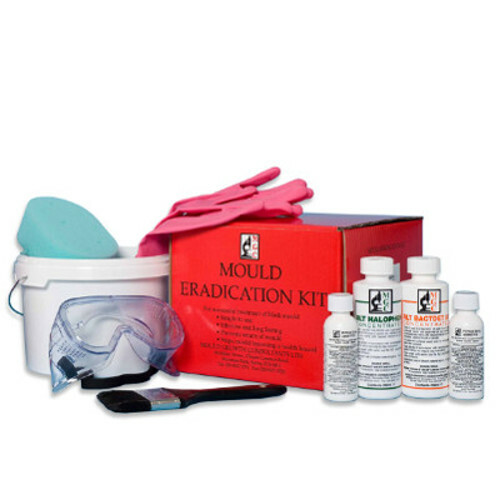 S..
MGC Mould Eradication Kit contains everything required to deal with small outbreaks of black mould. The contents of this kit is sufficient to eradicate 10-12m of mould. Contents of this kit are approved under C.O.P.R. 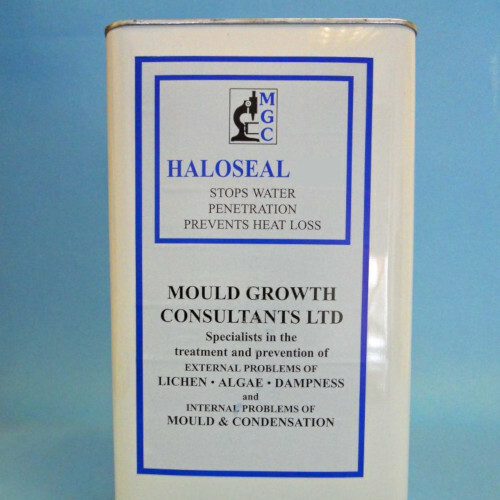 1986 (as amended) by the Health and Safety Executive for both amateur and professi..
MGC Mould Resistant Sealant is a white flexible fast curing mould resistant sealant for kitchens and bathrooms.Please note: this product is non-returnable once purchased. Terms and conditions apply. 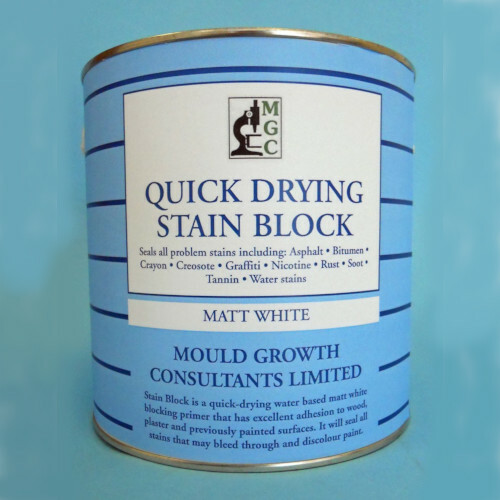 ..
2.5 Litre MGC Quick Drying Stain Block is a water based matt white blocking primer that has excellent adhesion to plaster, wood and previously painted surfaces. It will seal all stains -- bitumen, creosote, nicotine, tannin, asphalt, crayon, graffiti, rust, soot, water stains -- preventing them.. 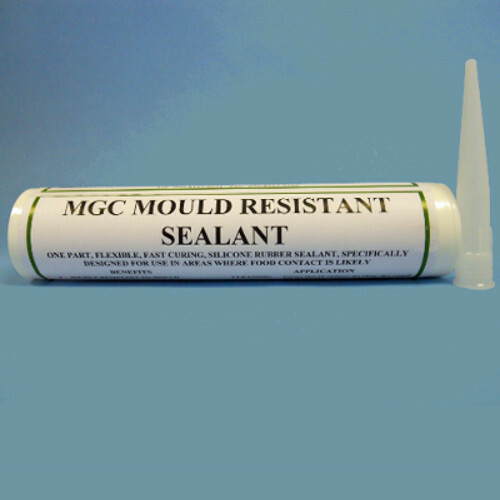 The MGC RLT Pack is used for treating medium to severe mould contamination. 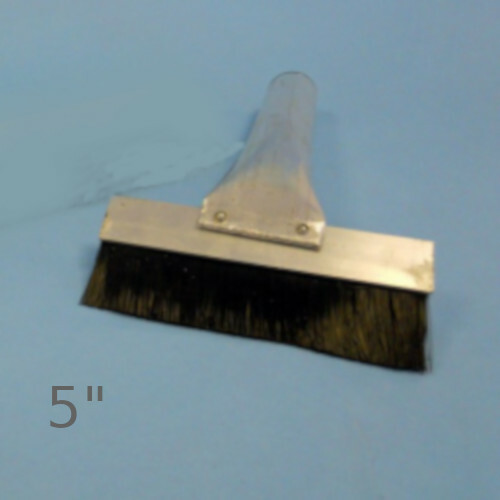 The pack contains sufficient material to eradicate 45-50m of mould. 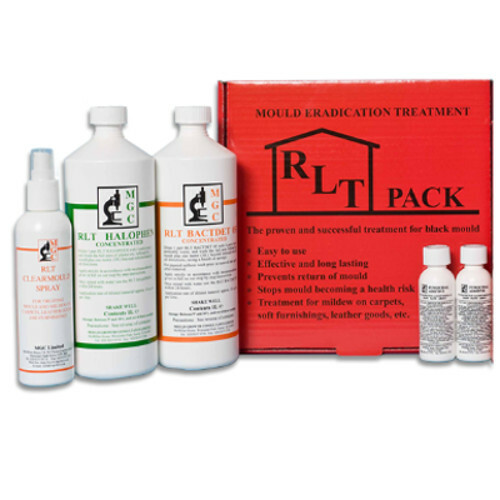 RLT Bactdet 05 is used to kill and clean the mould off the surface of the walls and ceilings, RLT Halophen to penetrate into the substrate to kill the ..
1 Litre RLT Bactdet 05 - Sterilising solution for killing and removing mould specially used with Sempafloor.Dilute solution 1:4 with warm water. Wash down using a brush, cloth or sponge and change the solution when it becomes dirty. 5 litre cans are also available. 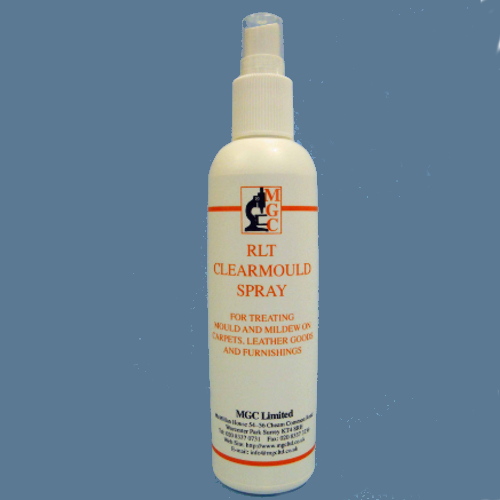 Please inquire.Please note: this p..
RLT Clearmould Spray is for treating mould and mildew on carpets, leather goods and furnishings. Just spray and clean with a cloth or sponge.Please note: this product is non-returnable once purchased. Terms and conditions apply. 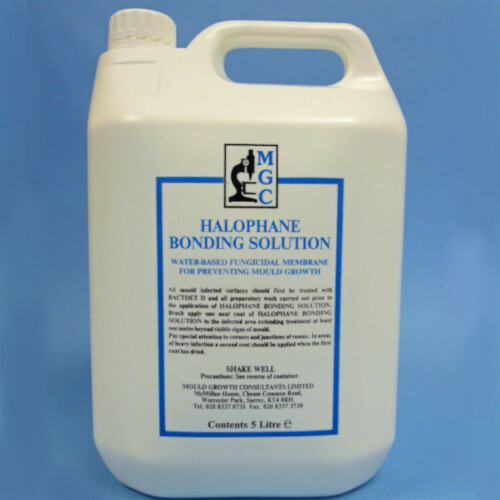 ..
RLT Halophen is a concentrated water based fungicidal barrier to be applied after RLT Bactdet 05. Supplied in 1 Litre and 5 litre cans. InstructionsDilute solution 1:4 with clean water.Apply by brush to the affected area and a metre beyond, Coverage: 50 sq. 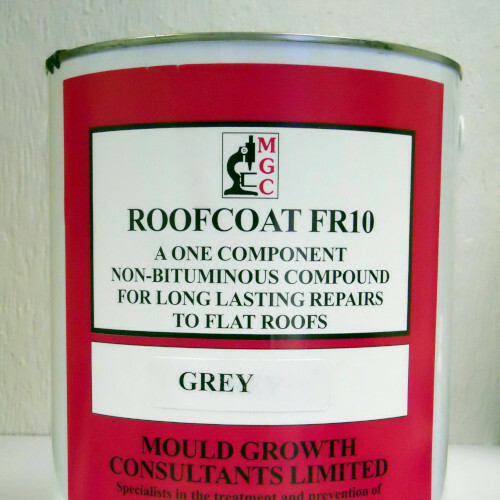 metres per litre..
5kg Roofcoat FR10 is a one part moisture curing Elastomeric roof waterproofing compound which has exceptional adhesion to virtually any roofing material. It would provide instant waterproofing for leaking roofs. 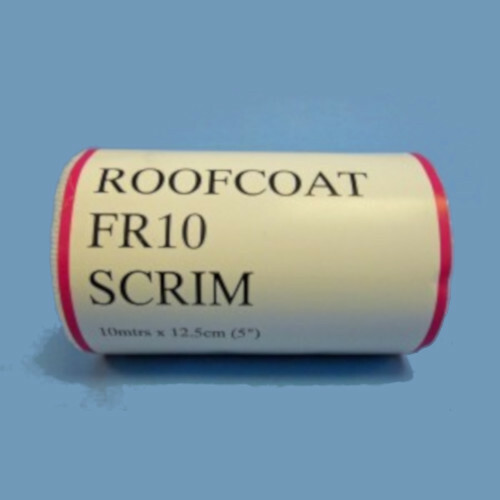 Roofcoat FR10 is an all-weather product and can be applied even when the surface is..
Roofcoat FR10 Scrim is a white coloured reinforcing fabric for use with Roofcoat FR10 as a repair system for splits, blisters and cracks in the roofing.Please note: this product is non-returnable once purchased. Terms and conditions apply. ..
5" Roofcoat FR10 Spreader is a specifically designed for applying Roofcoat FR 10.Please note: this product is non-returnable once purchased. Terms and conditions apply. ..